First, note that the FCC’s NPRM on changing the experimental licensing rules was published in the Federal Register on February 8. That means the comment deadlines are set. Comments are due March 10, and Reply Comments are due April 11. Consider filing comments in support of relaxed rules for industry as well as for academia. A few good comments have been filed already. I point to the comments of Hans Schantz as exemplary. BAE Systems Information and Electronic Systems Integration Inc. filed an application (with supporting exhibit) for special temporary authority to operate in Wayne, New Jersey on several frequency bands between 27 and 2003 MHz. This is to support development of a more cost-efficient and robust Ground Mobile Radio system for the Army. Carlson Wireless Technologies filed an application (with supporting exhibit) for special temporary authority to test a TV white space system using a TV broadcaster’s tower. The intent is to show how white space and broadcasting radios can coexist without objectionable interference. Operation is requested on 174-216 MHz (TV channels 7-13) in Oklahoma City, Oklahoma. Harris filed an application (with supporting exhibits) for special temporary authority to conduct field testing of software-defined radio (SDR) equipment in Melbourne, Florida on 232.375, 300.375, and 362.250 MHz. The testing will verify line-of-sight communication capabilities of radios ultimately deployed by the military abroad. This testing precedes more stressful at Army test ranges. BAE Systems Unmanned Aircraft Programs Inc. filed an application (with supporting exhibit) for experimental license to develop radio link equipment used in the unmanned aircraft systems operated by military branches for command, control, communications, computers, intelligence, surveillance, and reconnaissance (C4ISR) applications. More specifically, the testing will involve the testing of a Microhard Systems model MHX320 wireless modem at BAE Systems’ factory in Tucson, Arizona. The MHX320 is a 310 to 390 MHz frequency hopping modem, which can be optimized for long distance communications of over 60 miles with throughput up to 230 kbps. Testing will be on 310.0-328.6 and 335.4-390.0 MHz. Raytheon Network Centric Systems filed an application (with supporting exhibit) for special temporary authority to test its Aurora and Wireless IP-capable Network (WIPN) radios, which provide a Mobile Adhoc Network (MANET) data network capability able to provide effective throughput up to 11 Mbps. Operation will be on 420-450 MHz in Fort Wayne, Indiana. This may be related to DARPA’s Mobile Ad-Hoc Interoperable Network GATEway (MAINGATE) program, which was initiated to develop systems required to enable network-centric warfare among Coalition and U.S. Forces, as well as to facilitate military operations with non-governmental organizations (NGOs) and first responders. Stark Aerospace filed an application (with supporting exhibits) for experimental license to test a remotely piloted aircraft for public safety and military applications. Communications from ground to aircraft is by two uplink modes; a primary mode and a backup mode. The primary mode uses the bands 4500-4800 and 4940-4990 MHz. The backup uses the 465-510 MHz band. No information on the downlink is found. 4 Tech Media filed an application (with supporting exhibits) for experimental license to conduct white spaces experiments in Washington DC. This work is to be done jointly with District of Columbia government and the Community College of the District of Columbia, and is to investigate the usefulness of available white space spectrum for use in home networking applications. The network is to consist of 5 base stations and 1,200 access points. Although the request is for frequencies that span the entire UHF portion (470-698 MHz) of the white space band, only channels permitted for use by FCC rules are to be used. From the exhibits, it appears this experiment is supported by about $30 million of government grants, most by way of the American Recovery and Reinvestment Act. Motorola Solutions filed an application (with associated exhibit) for special temporary authority to operate in the 758-768 and 788-798 MHz bands to conduct tests in connection with the development of Long Term Evolution (LTE) broadband equipment. The testing will be conducted from up to three sites near the offices of Motorola Solutions in Schaumburg, Illinois. The requested frequencies encompass both the 758-763 and 788-793 MHz bands known as the upper 700 MHz D block, which has not yet been licensed for regular operation, and the 763-768 and 793-798 MHz public safety block licensed on a nationwide basis to the Public Safety Spectrum Trust. Florida Atlantic University filed an application (with supporting exhibits) for experimental license to operate on 824-849, 880-915, and 1850-1910 MHz in and around Boca Raton, Florida. 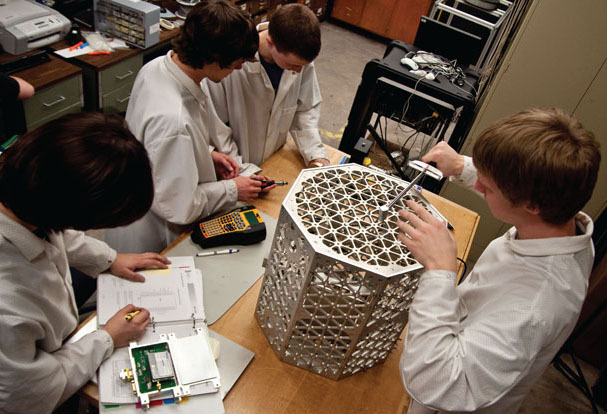 The intent is to support lab exercises in the College of Engineering and Computer Science. Equipment to be used includes a GSM and a CDMA base station, operating at up to 100 watts effective radiated power. The University says it will coordinate with other licensees, which would include cellular and PCS operators. BAE Systems Information and Electronic Systems Integration Inc. filed an application (with supporting exhibit) for special temporary authority to conduct in-flight calibration and verification of a radio direction finding system on an unmanned aircraft at Victorville, California. Several frequency bands will be used between 880 MHz and 15.35 GHz. This test supports the company’s work for the US Air Force and DARPA. The University of California, Berkley, Computer Science Department filed an application for special temporary authority to operate in support of OpenBTS technology investigations. Testing would be on 890-915 and 935-960 MHz. DRS ICAS, LLC filed an application (with supporting exhibit) for special temporary authority to test Identification Friend or Foe (IFF) interrogator equipment that is being developed under a contract with the Italian Air Force. Operation will be on 1030 and 1090 MHz at Cheektowaga, New York. Lockheed-Martin filed an application (with supporting exhibits) for special temporary authority to test IFF systems part of a sale to the Royal Saudi Air Force. 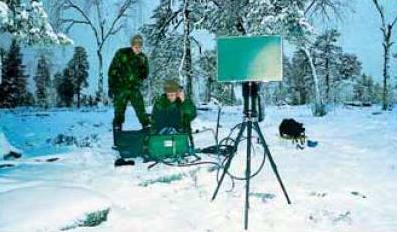 The system uses the TPS-77 transportable radar platform. Operation will be on 1030 MHz. Qualcomm filed an application (with supporting exhibit) for experimental license to operate on Cambridge, Massachusetts on 1915-1920 MHz. Qualcomm is collaborating with faculty and students at MIT to further its testing, validation and application concepts around a peer-to-peer system currently under development. It appears to allow peer-to-peer communications over licensed spectrum without infrastructure support. Qualcomm says the primary objective is to explore creative application ideas which are enabled by this technology, validate system performance, and get feedback on the networking architecture from those studying the subject at MIT. There has been some press attention of this technology at this writing. For better information, a Qualcomm acquaintance has pointed me to this presentation and to this IEEE magazine article. Boeing filed an application (with supporting exhibits) for special temporary authority to operate on 2345?2390 MHz in air-to-ground mode at three locations in Delaware, New Jersey, and Texas. No further details are publicly available due to a confidentiality request; flight test telemetry is a likely purpose. The Navy is not enthusiastic about the proposal, and the application has yet to be granted. Sportvision filed an application (with supporting exhibit) for special temporary authority to operate an auto race track wireless data system that would allow television viewers to see, displayed on-screen, the real-time location of cars during a racing event. Vehicles equipped with GPS receivers and radios would provide updates every 200 milliseconds. Operation will be on 2395-2400 MHz at 23 motor speedways across the US. Modified Wi-Fi hardware will be used. The requested frequency band is just below the 2 GHz ISM band (high noise levels preclude operation there) and is allocated to the Amateur Radio Service. No interference is expected due to the short duration of operation and low power involved (1 watt). Operation will be coordinated with the ARRL. Florida International University filed an application (with supporting exhibits) for experimental license to operate a WiMAX base station on 2590 MHz in Miami, Florida in support of the Global Environment for Network Innovations (GENI) project. 4-D Security Solutions filed an application (with supporting exhibit) for experimental license to test surveillance radar on 8.75-8.95 and 10.32-10.48 GHz at locations in New Jersey and Wisconsin. 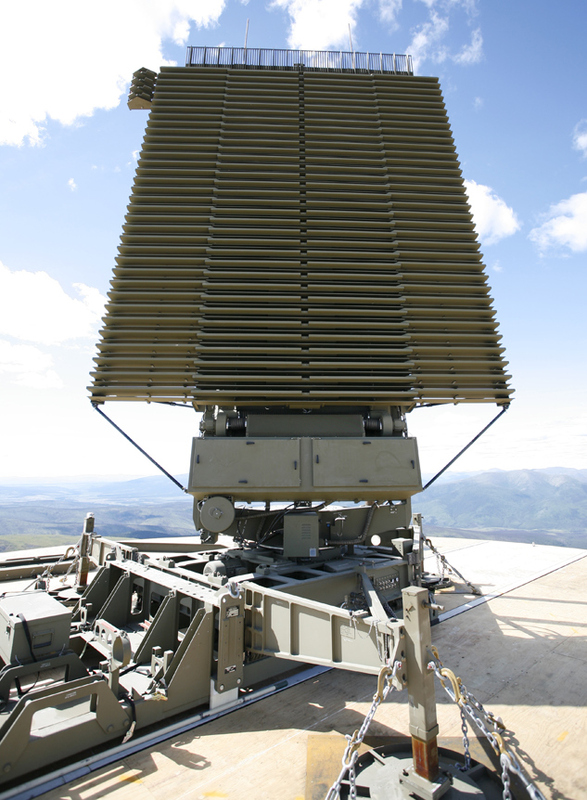 The radars to be tested are Elta Systems models EL/M-2105 and EL/M-2129. This testing is in support of the company’s development of homeland security systems intended to provide protection for sensitive installations, borders, and coastlines. Denso Corporation filed an application (with supporting exhibits) for experimental license to operate nationwide on 24.125 and 25.5 GHz. Due to a confidentiality request, details of the experimental plan are not publicly available. This experiment is likely related to Denso’s ongoing work developing vehicle radar systems to detect preceding vehicles and obstacles as input to anti-crash and pre-crash systems. Battelle filed an application (with supporting exhibit) for special temporary authority to operate an experimental point-to-point communications link operating at millimeter-wave frequencies. 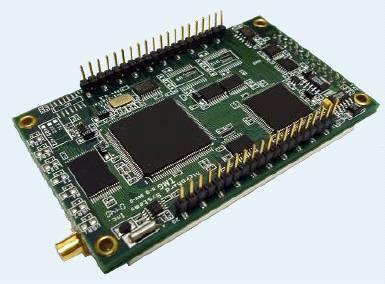 The link uses optical components to generate and modulate the signals, and has the capability of transmitting 10 Gbps on a 100 GHz carrier. Operation will be at three locations on 95-105 GHz. The proposed study includes investigation of candidate modulation formats at distances up to 1 km. ShawnTech Communications filed an experimental application about which nothing is known due to a request for confidentiality. ShawnTech provides phone and related services to the corrections industry. This may be an experiment of cell phone jamming or managed access technology to address contraband wireless devices. This entry was posted on Wednesday, February 9th, 2011 at 7:33 am and is filed under 3GPP, 3GPP2, 4G, Ad-hoc Networks, Antennas, Automotive, Aviation, Broadband, Broadband Access, Electronic Warfare, Experimental, GPS, GSM, High Frequency, Land Mobile, Location, LTE, Military, Millimeter-wave, Peer-to-Peer, Propagation, Public Safety, Radar, Radiolocation, Satellite, Space Communications, Spectrum, Telemetry, Terminals, TV Broadcasting, UAV, White Space, Wi-Fi, WiMAX, Wireless. You can follow any responses to this entry through the RSS 2.0 feed. You can leave a response, or trackback from your own site.